We are able to accept children from 4-19 years across all key stages throughout the academic year subject to Jigsaw being named in their EHCP (Education, Health & Care Plan). 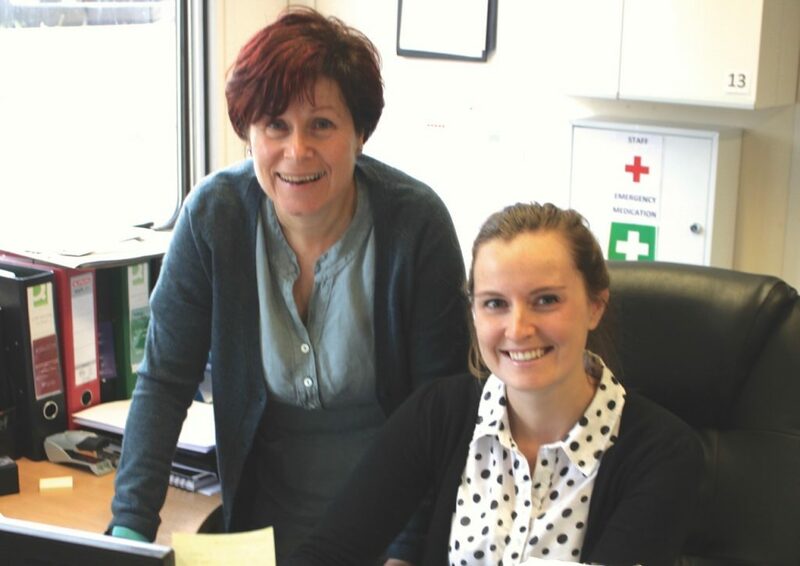 We have a dedicated Admissions Team under the lead of Sarah Bryant (pictured below with Jigsaw Administrator, Vicki Cleaver). Sarah has many years’ experience working with Local Authorities (LAs) having gained a great understanding of the complexities of the whole process and, should you move towards potential admission here at Jigsaw, she will also remain your first point of contact throughout and be available for you to speak to at any time. A brief overview of the admissions process for the School can be downloaded here . We have outlined the most general route to entry as well as including a couple of helpful links. We fully appreciate every case is individual and different and may, of course, vary slightly from this general overview but we hope this might be of some help. Any one of our Admissions Team will be pleased to take your call and to provide you with further information on Jigsaw and our Admissions Process. Open Mornings are designed to give clear information to prospective parents about Jigsaw and their choices for an appropriate education for their child. Events are run regularly throughout the year – for more information visit our Open Mornings page. If you are interested in the specialist day services provided by JigsawPlus, please visit the admissions information on their site by clicking here or using the green link button at the top of this website. Download Jigsaw School Local Offer document.